At some point between 18-28 weeks, there was an “intrauterine event.” Something had happened in utero – a stroke, the cord wrapped around the baby’s neck, an unknown trauma – and after that, the baby’s brain stopped developing. Although the baby continued to grow, her brain did not. 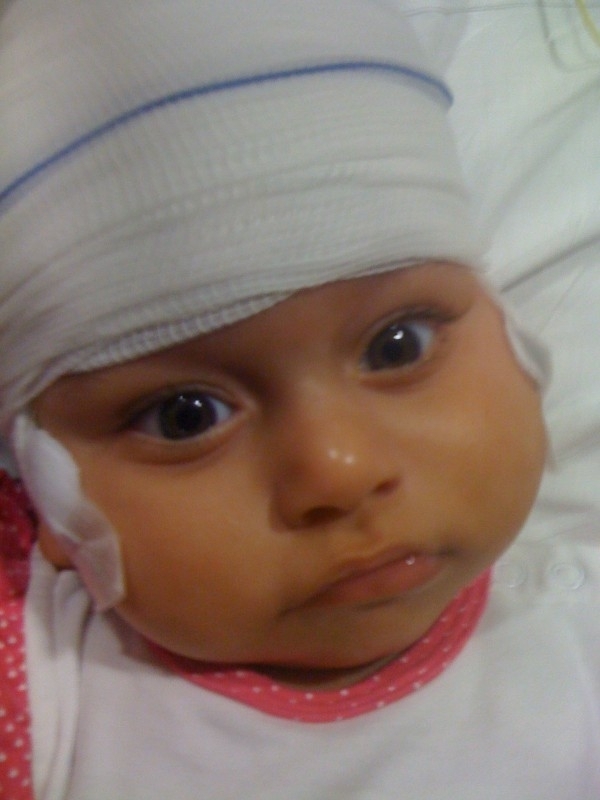 Gianna was rushed to the NICU because doctors detected enlarged ventricles in her brain. Her first day on Earth was spent in a sterile hospital room, having an MRI. 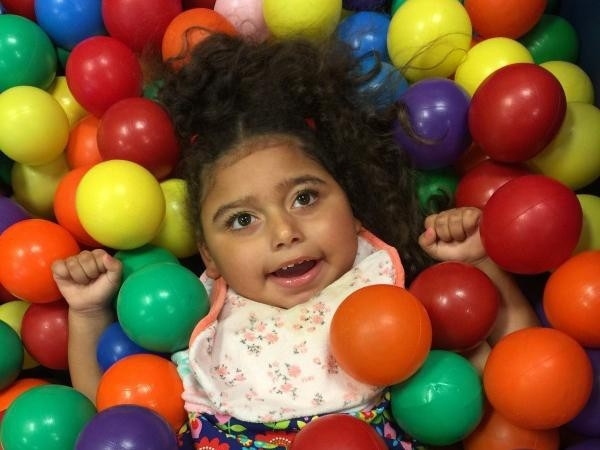 Although the ventricles weren’t so enlarged that Gianna needed a shunt, it became apparent through the scans that Gianna’s “intrauterine event” had caused significant damage. She had Periventricular Leukomalacia, which is characterized by the death of white matter in the brain. It would likely cause developmental delays, but exactly what this meant for Gianna, they weren’t yet sure. Gianna had a very chaotic first year of life. 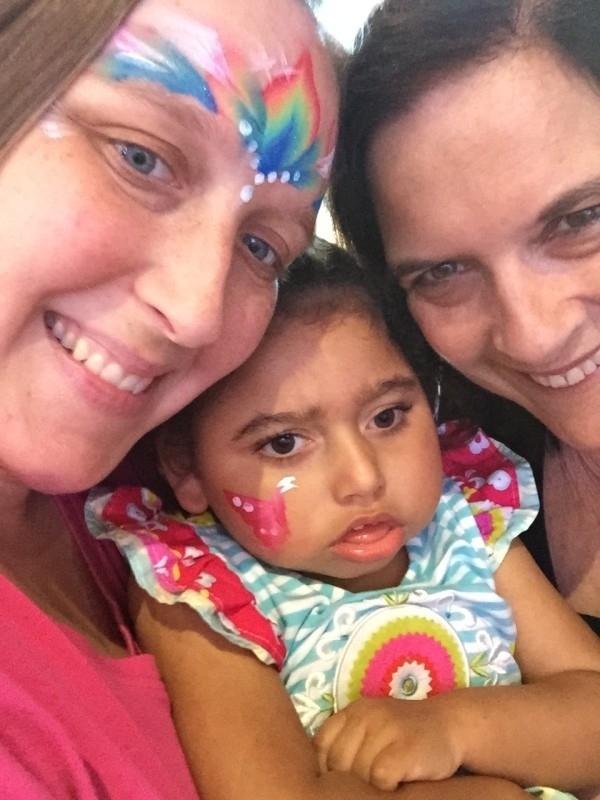 Jamie reflects on that time, saying “I’m not sure how we got through it.” Gianna continued to suffer from seizures, including one where she stopped breathing. She had respiratory issues and couldn't keep on weight because she had trouble swallowing. The stunted brain development in utero had caused moderate damage to Gianna’s hearing, as well as almost completely impairing her vision. Although her eyes are fine, her brain cannot process what she sees. As far as we know, Gianna can see shadows and shapes, but relies on her other senses to take in her enviorment. 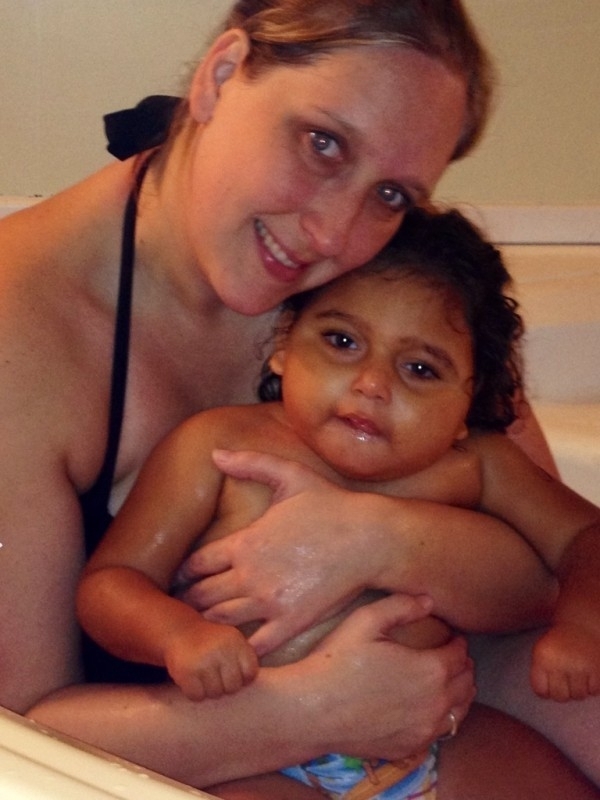 Between all these diagnoses and visits, Gianna essentially “lived at the hospital” for a year. 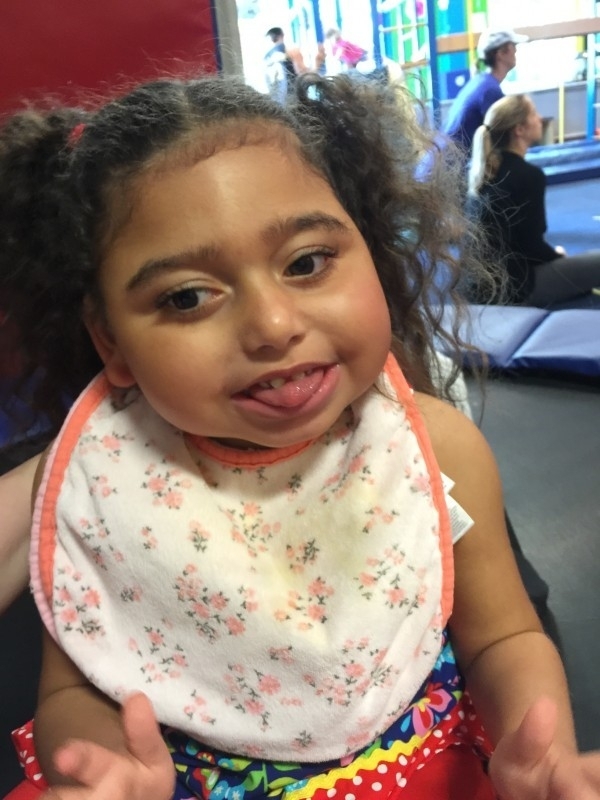 When she was 2, a neurologist diagnosed Gianna with Quadriplegic Cerebral Palsy. This explained her low muscle tone, trouble eating, and repetitive movements. 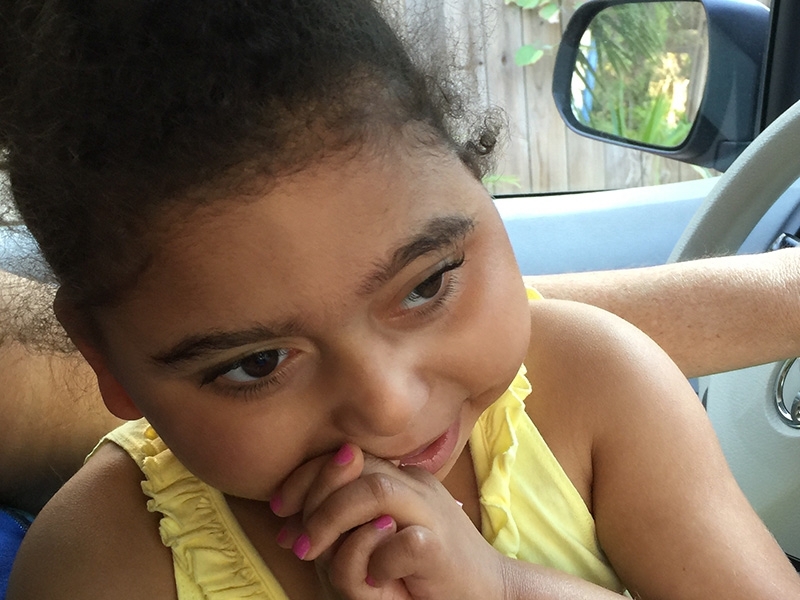 Once this diagnosis came to light, all of Gianna’s other symptoms made more sense. When Gianna was eligible for public school at age 3, she had to undergo a psychological evaluation. 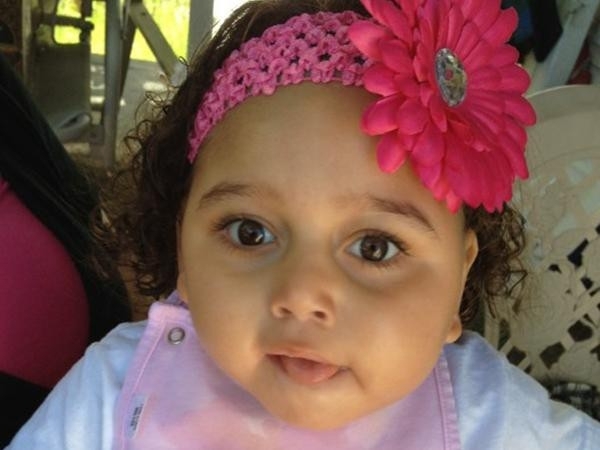 The tests showed that 3 year-old Gianna had the development of a 2 month-old. Immediately after starting school, Gianna started therapy. She has Occupational, Physical, Speech, Vision, and Hearing therapy all at school. She works on standing and walking. Because of her dysphasia she has started learning American Sign Language, and knows ten signs. She can convey yes, no, more, dog, and a few other important words. Not only did she love being in school, she got to experience everything a kid should: field trips, picture days, being in school plays, and having lots of fun. As her school year ended, Jamie noticed a huge difference in her daughter. Gianna was happy, learning, loving her new environment of constant stimulation… there was really only one problem. Getting her to school every day was becoming increasingly difficult. 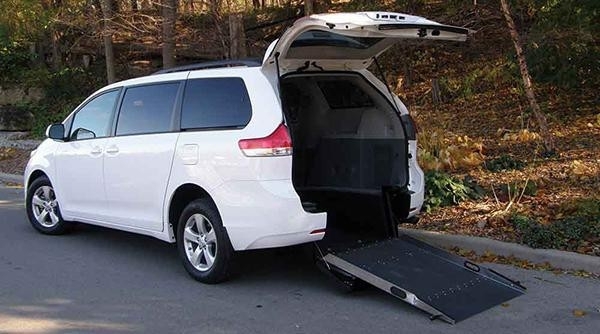 Jamie had a minivan that was not ADA accessible, so she would manually take the wheelchair apart every morning and evening. Not to mention, 4-year-old Gianna was near to outgrowing her car seat. Not only was it no longer safe for her to travel in this minivan, it was quickly becoming impossible for Jamie to do it alone. When she called Purple Ribbon Mobility to look for a van that could accommodate her daughter’s needs, she struck up conversation with a sales associate over the phone. This is where it gets interesting. If it had been any other sales associate, on any other day, they most likely would have just helped Jamie, quoted her some prices, and hung up the phone. Afterwards, Jamie would’ve probably brainstormed different ways to raise the money to purchase an ADA van, or saved for years to buy one, all of it on her own. But the thing is, there are some things you just shouldn’t have to do alone. It turned out that the sales associate she spoke to had also helped us purchase a van for Rylan a few months ago, and recommended Jamie apply for a grant at Chive Charities. She did, and the rest is history. 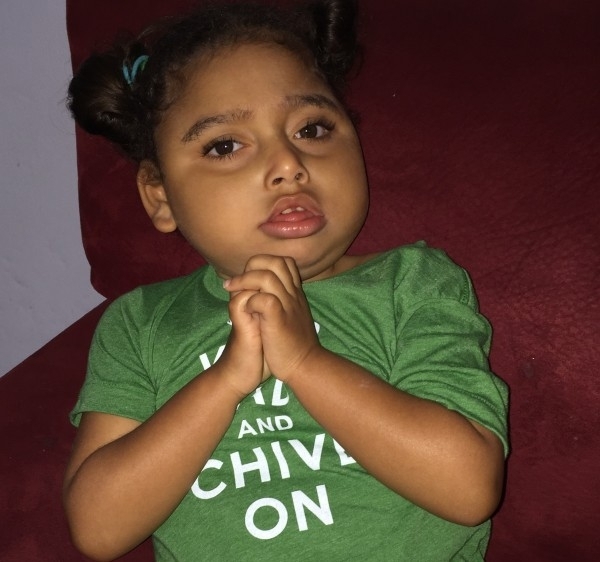 With a $37,000 grant from Chive Fund, Chive Charities purchased an ADA 2014 Toyota Sienna with rear entry, as well as oral therapy equipment and a pulse oximeter. These items will give Gianna the gift of mobility, so she can easily travel to school and gain an education. They will make her more safe, more comfortable, and – with any luck – more happy. 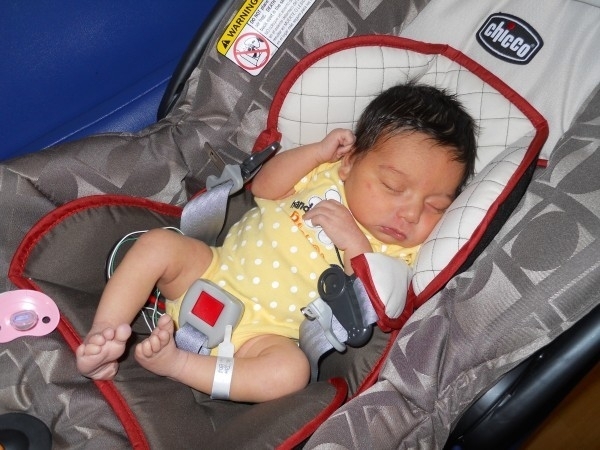 After 5 days in NICU, newborn Gianna was finally allowed to go home. But she wasn’t home for long. After her grandma noticed her seizures, Gianna spent much of the first few months of her life in the hospital, enduring tests. Jamie and Gianna splashing around! Because Gianna’s vision is affected, and she can only see shapes and shadows, she relies heavily on touch. 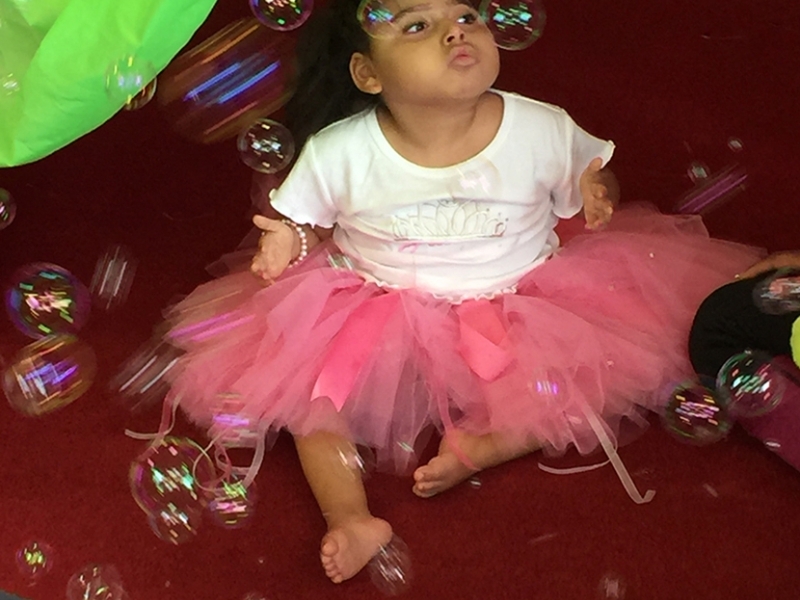 Sensory experiences, like being in water and feeling different textures are amazing for Gianna’s development. 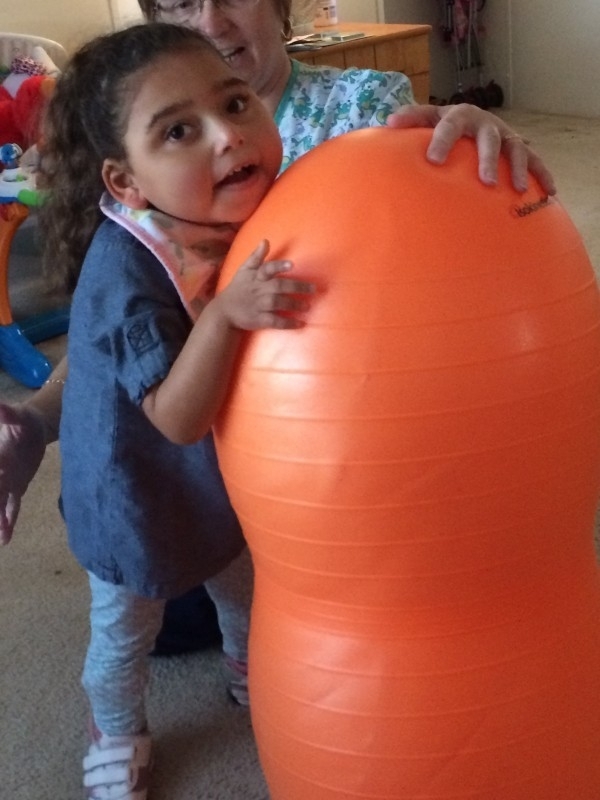 Here's Gianna doing some physical therapy! Three generations! Mom Jamie, Gianna, and Grandma Pat, whose nickname is the “Gianna Whisperer.” Jamie says no matter what Gianna is doing, when Grandma walks in, she has Gianna’s full attention. Gianna is so lucky to have so many strong women who care about her! Although it took 22 months for Gianna to smile for the first time, it was well worth the wait. These days, she does it a lot more. Gianna is an “adrenaline-junkie” who loves going to My Gym and swinging, playing in the ball pit, and dancing to music. “She is so funny and she loves to be tickled. She’s just so cute!” gushes Jamie. 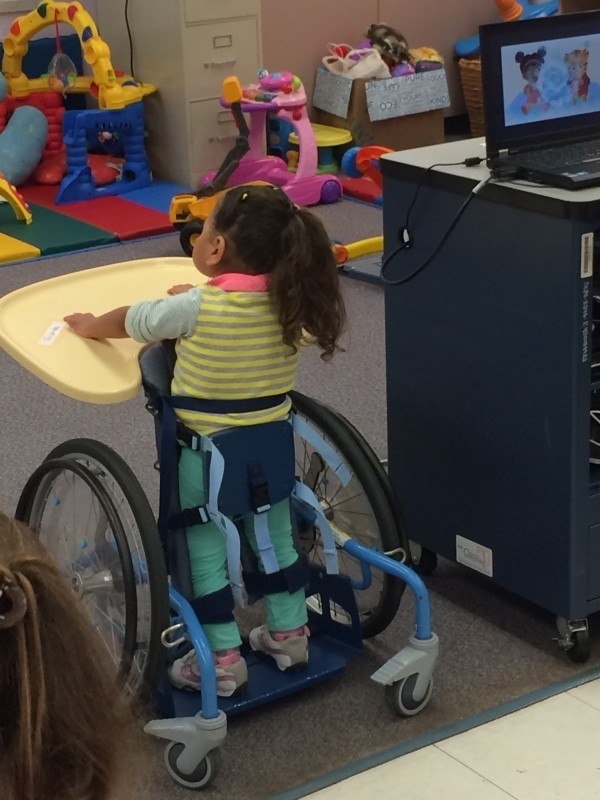 At school, Gianna spends much of her time in this “stander.” It allows her to bear her own weight without help and gives her more independence, which she loves. She often listens to music with headphones on while she learns! Here’s the 2014 Toyota Sienna with rear entry that will make Gianna’s transition from home to school and school to home easier, smoother, and safer! With one year of school under her belt, the rest that follow will bring new insights, experiences, and adventures. 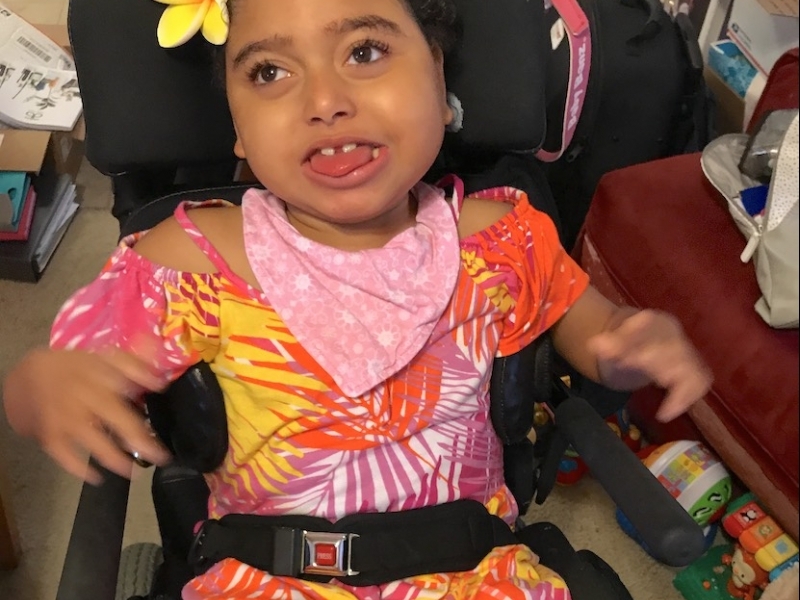 Gianna has fought an uphill battle just to be where she is: a 4-year-old girl who loves school, her friends, and her family. She deserves that. She deserves to have some things be easy in her life. Now, transportation is one of them. The $37,000 grant isn’t just a dollar amount. It’s the sum of hundreds of random acts of kindness. It’s the total donation that is made up of small, monthly donations that our Chive Charities members consistently give. It’s Gianna’s induction into the Chive family, because although Jamie and Gianna have made one fierce mother-daughter team this far, it never hurts to extend your circle. And now, Gianna’s extended family consists of the most generous community of misfits in the world.